Caisson Investment Management is pleased to confirm Meera Parmar has joined the financial and account management team of Caisson Investment Management as financial manager. 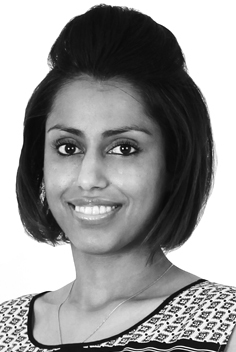 Meera will be working closely with the Finance Partner, Michael Newman. Her tasks will include ensuring the smooth production of investor reporting and the financial management process within the firm’s Yardi property and account management system. She will also be responsible for overseeing the performance of the assets under management versus business case. “Meera’s a great addition to the Caisson team. With an impressive set of proven top draw skills combined with the ability to articulate her opinions means Meera will be not only be making an immediate contribution to Caisson but also be helping to shape things in the future” Said Michael Newman, Finance Partner. “Being able, indeed encouraged, to give my views on projects and reporting whilst also being given a lot of responsibility is a great plus to joining Caisson. ” Said Meera Parmar. “Excellent investor reporting goes together with excellent investment analysis and asset management. They feed off each other and finding the right person to work within the finance team but also work as part of the greater Caisson group is a key component to Caisson’s success. In Meera we are confident we have achieved this. ” Commented David Carter, Managing Partner.